A few weeks ago, my friends and I tried to get into this place, but of course it was busy packed and there wasn't seating available until 9pm. It was 6pm. 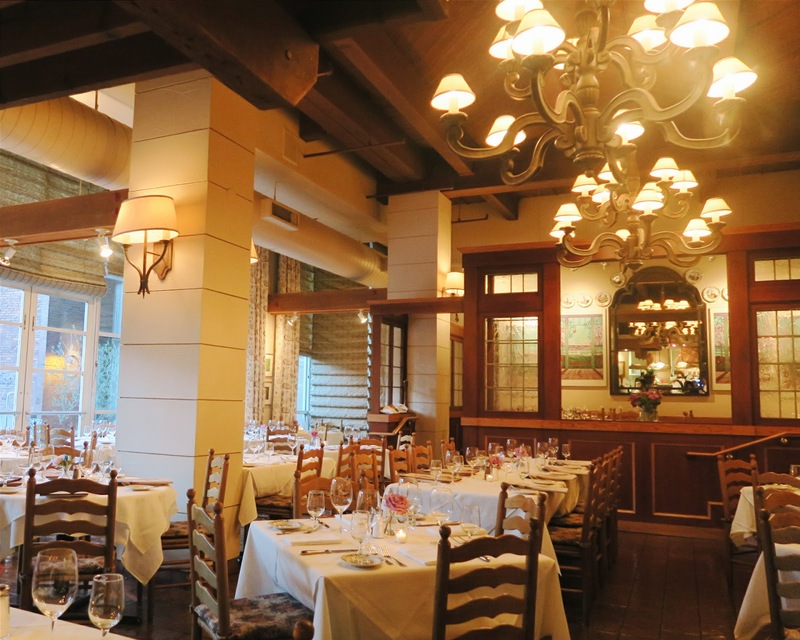 We made sure to make an RSVP in advance for the following week for 5:00pm and were the first ones to arrive at Il Terrazzo Carmine and were greeted by all the servers, hosts, and chefs. Their service is definitely on point! And can we please talk about the interiors and how cute it is inside without being too much? 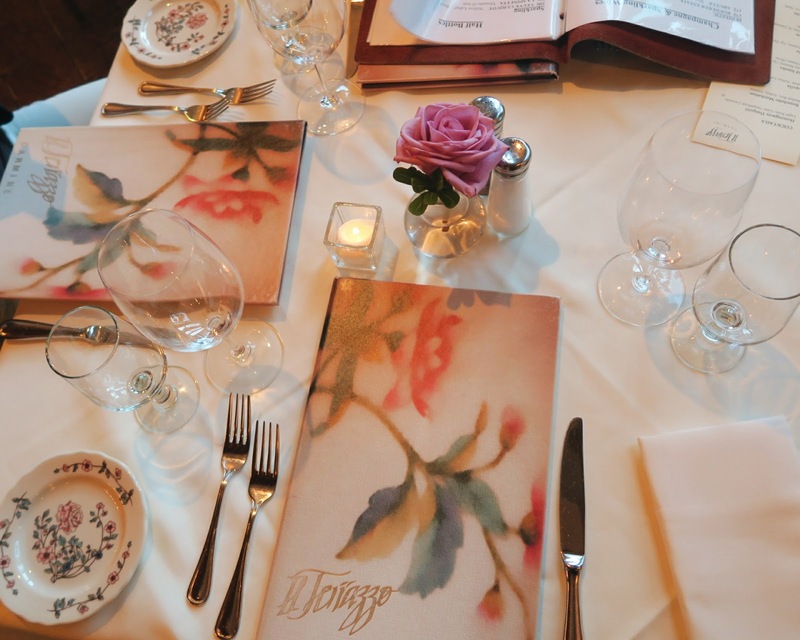 This restaurant is very homely with cute tea party like settings and decoration. 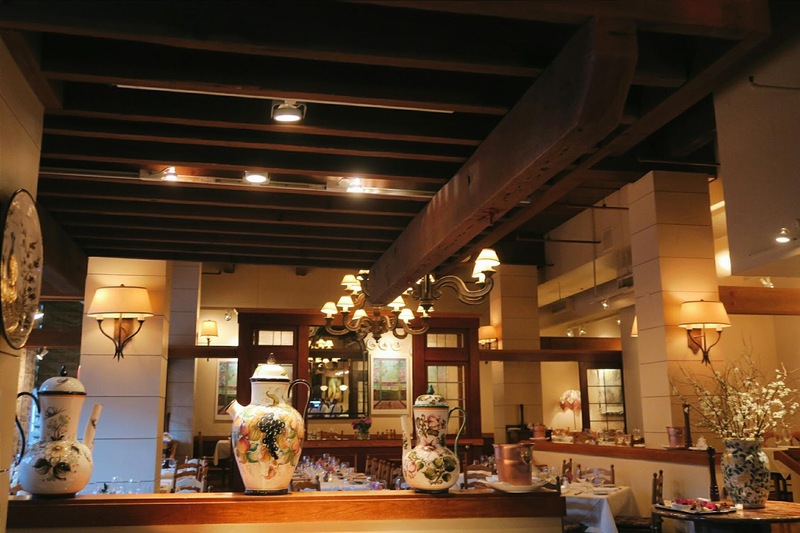 It gives off a very warm and welcoming vibe which can be appreciated in a restaurant setting. 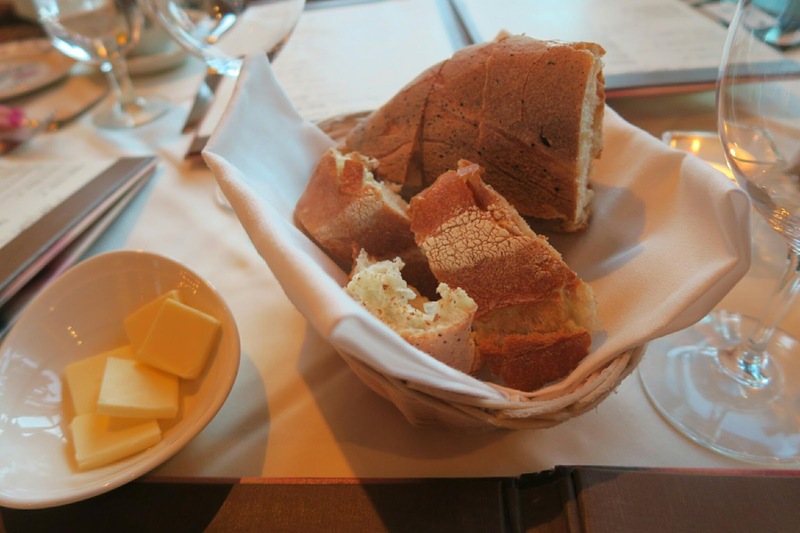 Food started off with a bit of bread service and nice crunchy bread. The butter was a bit hard, but the warmth of the bread melted it in no time. 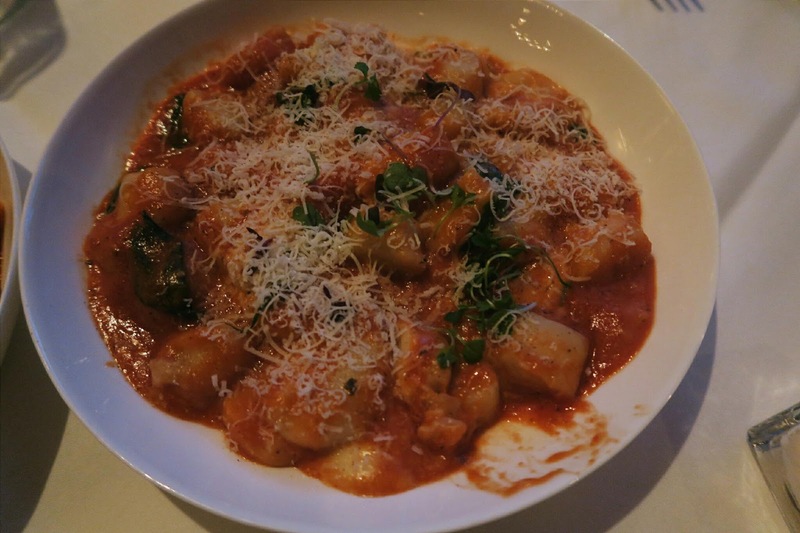 1) Gnocchi Sorrentina: My friend had ordered this dish since she really wanted the potato dumplings. Unfortunately, these were undercooked and mushy. The flavoring in the sauce was there but the dumplings itself were disappointing. We told our server of our issue and they apologized and gladly changed the dish for her. They also comped us another item, but we'll get to that shortly! 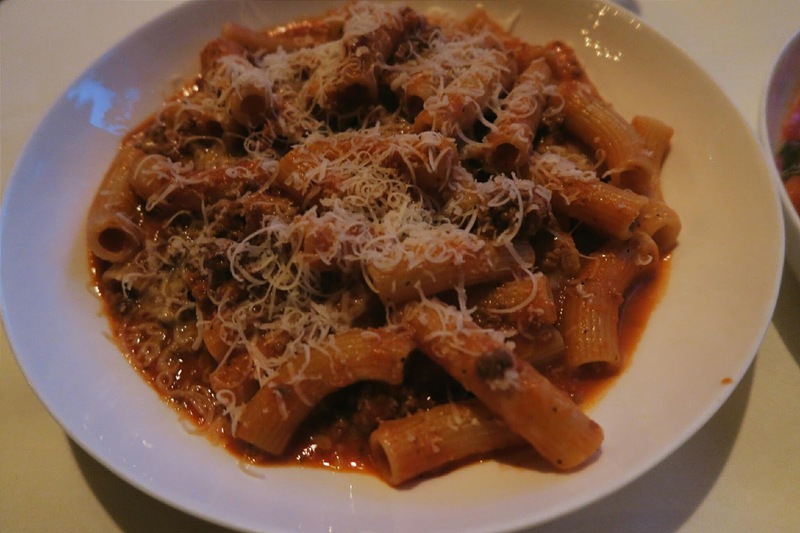 2) Rigatoni Bolognese: My other friend had ordered this dish and is was great. The pasta was cooked just right and the red meat sauce was excellent. She's 100% Italian and can be picky with her sauces but she also enjoyed it and really liked it as well! 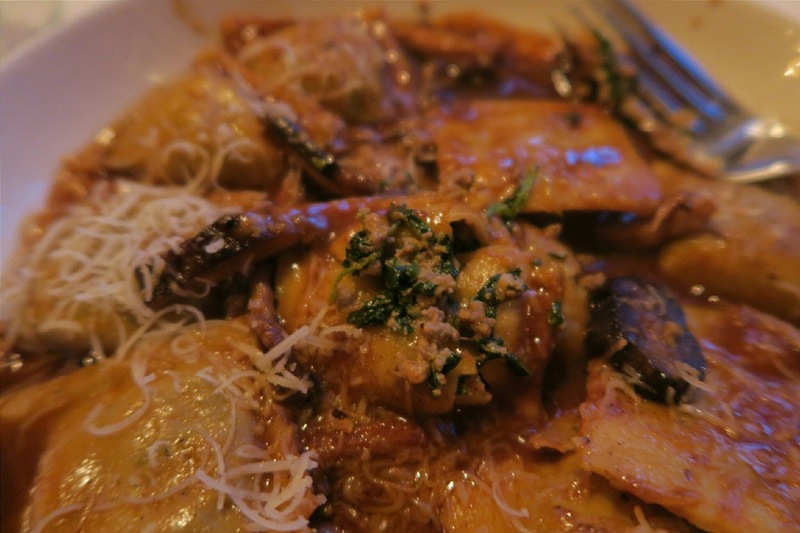 3) Ravioli Di Capriolo: This was my dish and I was extremely happy with it. It's unlike other pasta dishes I'm used to with either a red or white sauce because this one was a brown mushroom sauce. 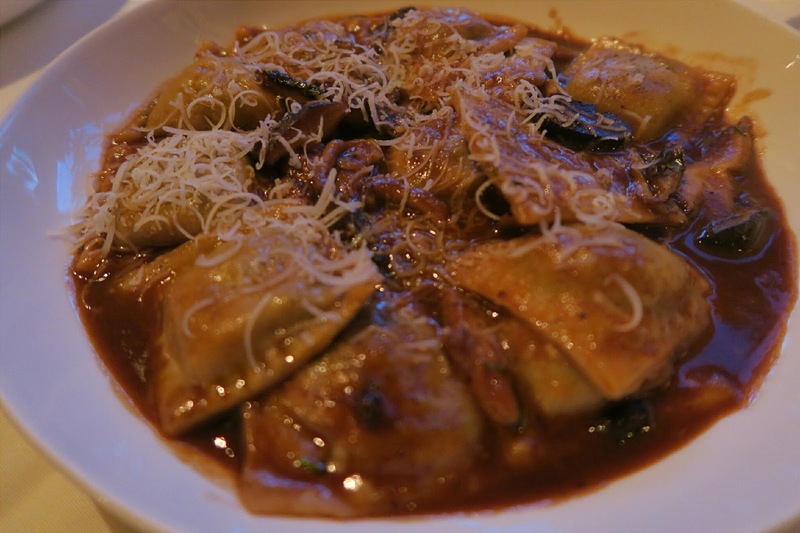 It was also a generous portion of filled venison and spinach ravioli (we were afraid I'd only get 5 pieces!). The sauce was flavorful and not to salty. The bread dipped in the sauce also paired well with this dish! 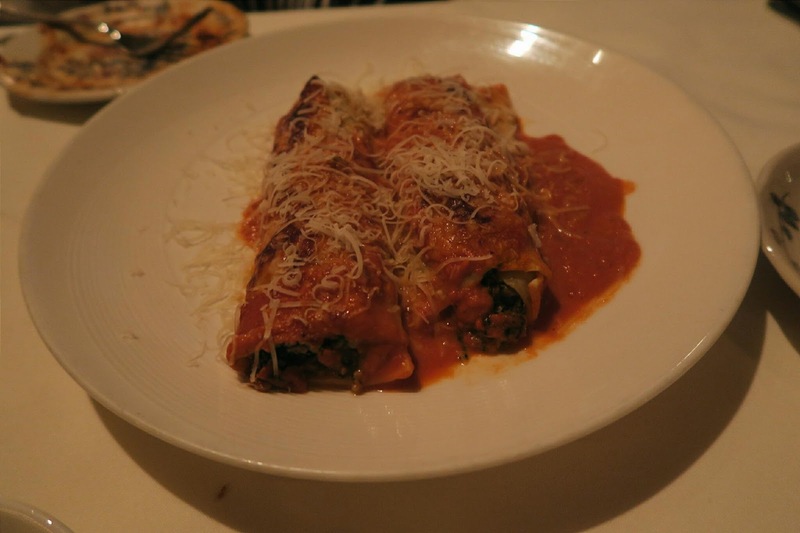 4) Cannelloni Fiorentina: Since my friend's Gnocchi dish was not fully cooked, she went ahead and changed her dish this one with tubes filled with veal, ricotta, and spinach. This was a much better dish and was cooked just right. Since the gnocchi was undercooked, the host gave us complimentary dessert which was their Tiramisu! We also went ahead and ordered another one to share off their lovely presentation of sweets. 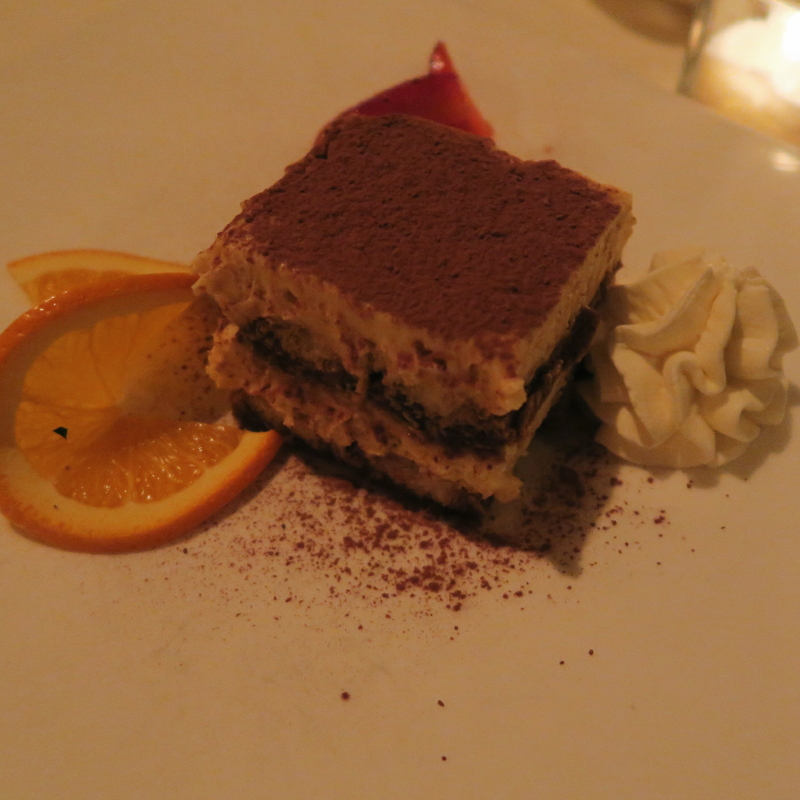 1) Tiramisu: We all agreed this was one of the better Tiramisu slices we've had. The layers were soaked just right and it wasn't overly sweet. 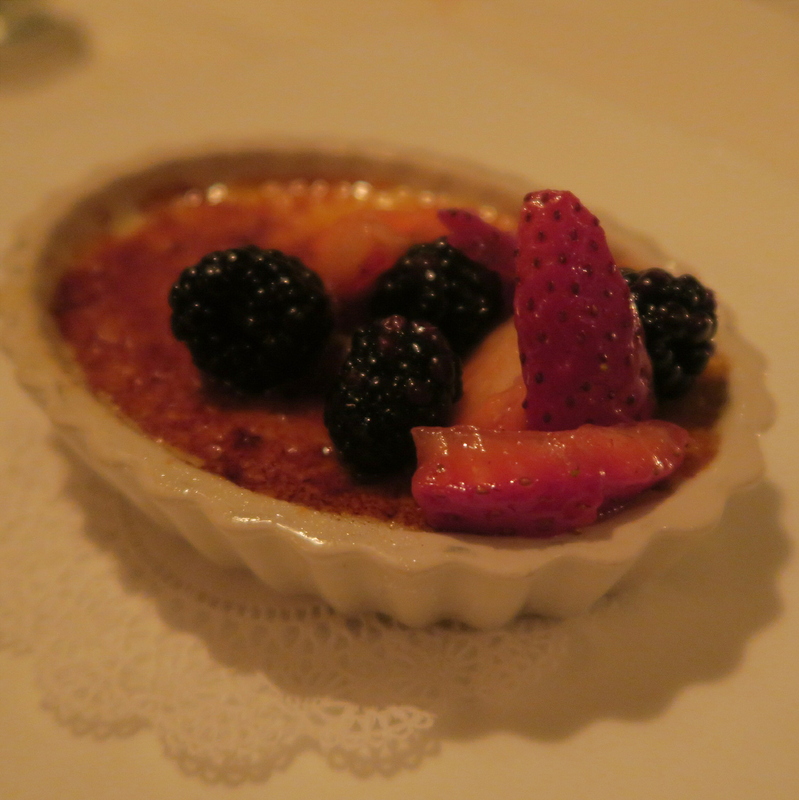 2) Creme Brulee: A dish we ordered just to try with berries on top. You can't go wrong with creme brulee and this one was excellent with a nice crunchy torched top and sweet creamy texture underneath. Photos as we left. 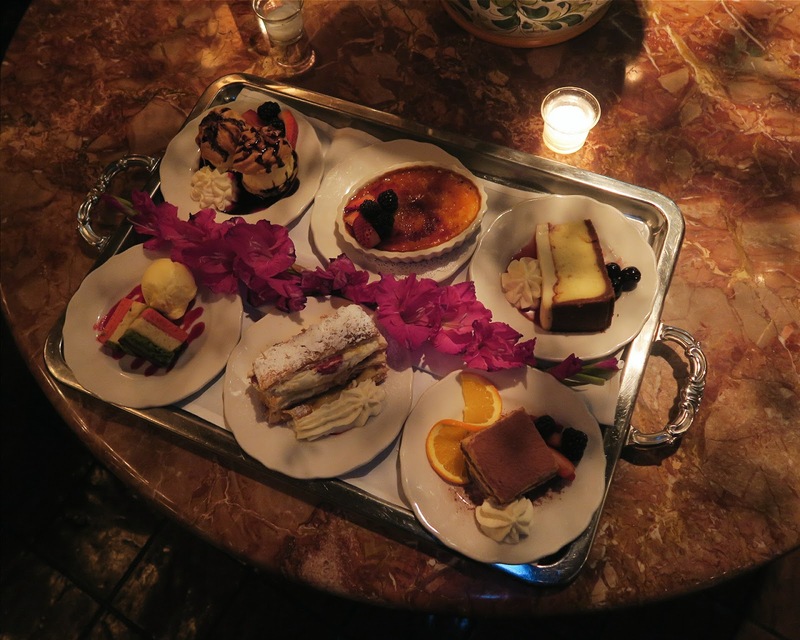 The place filled up quickly and the dessert tray was presented at the entrance. 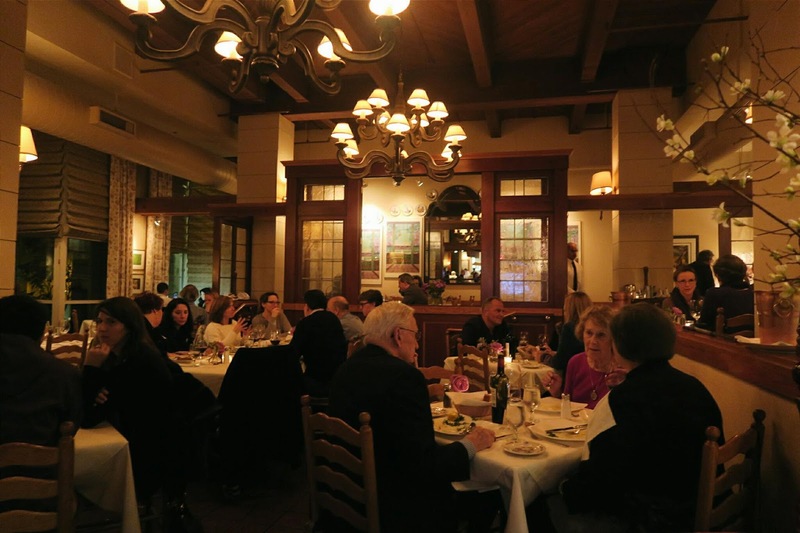 I can't recommend Il Terrazzo Carmine from the food, to location, to the atmosphere and ambiance, etc. etc. etc. 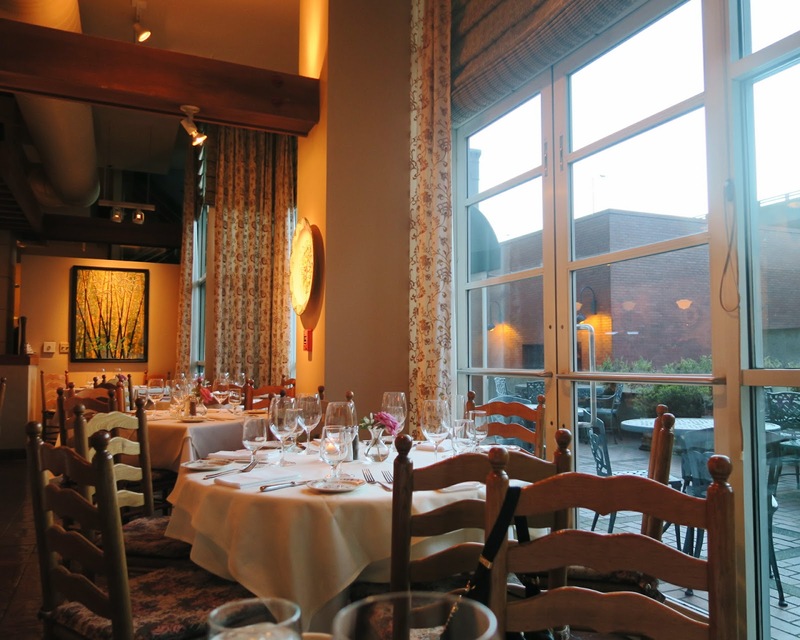 This place would be good for a dinner party, family gathering, dinner before a dance or even an intimate first date! 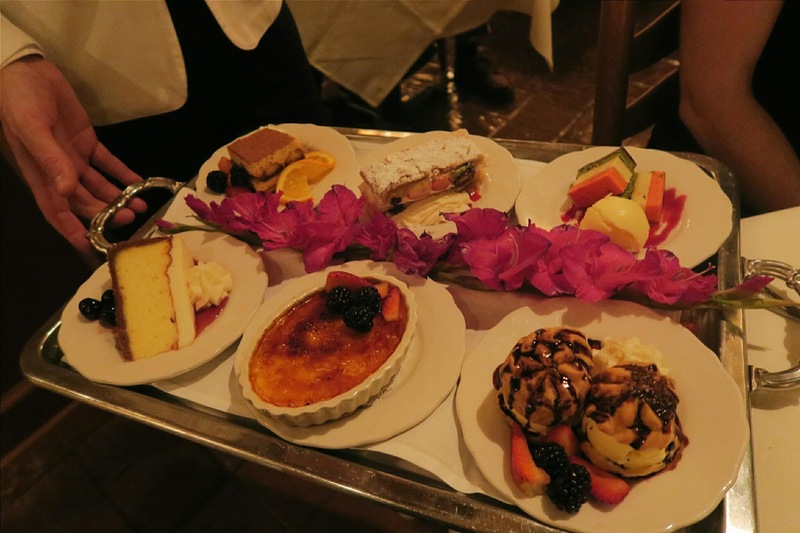 The service is beyond excellent and they treat you really well right from when you enter the door until you leave. They even help you take off and put on your jacket from the coach check if you wish! 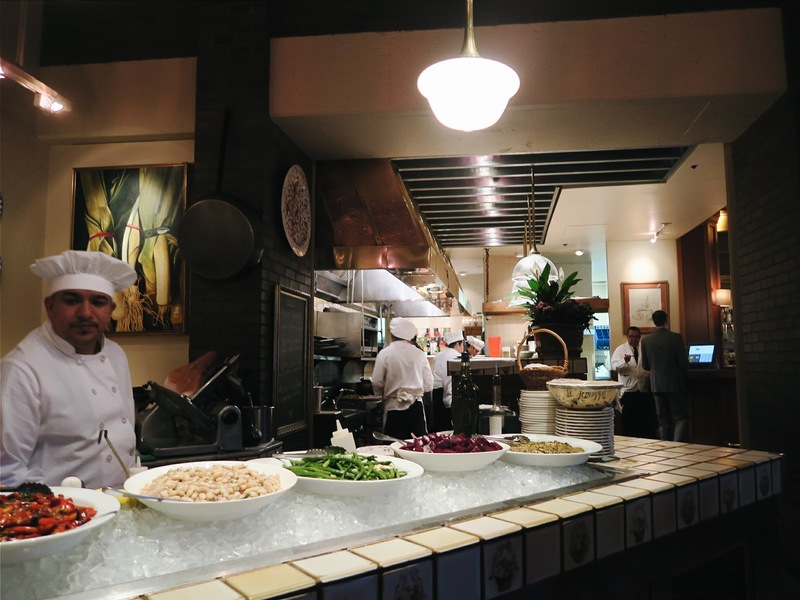 Despite the one dish not being completely satisfactory, everything else was great and I would definitely come back. 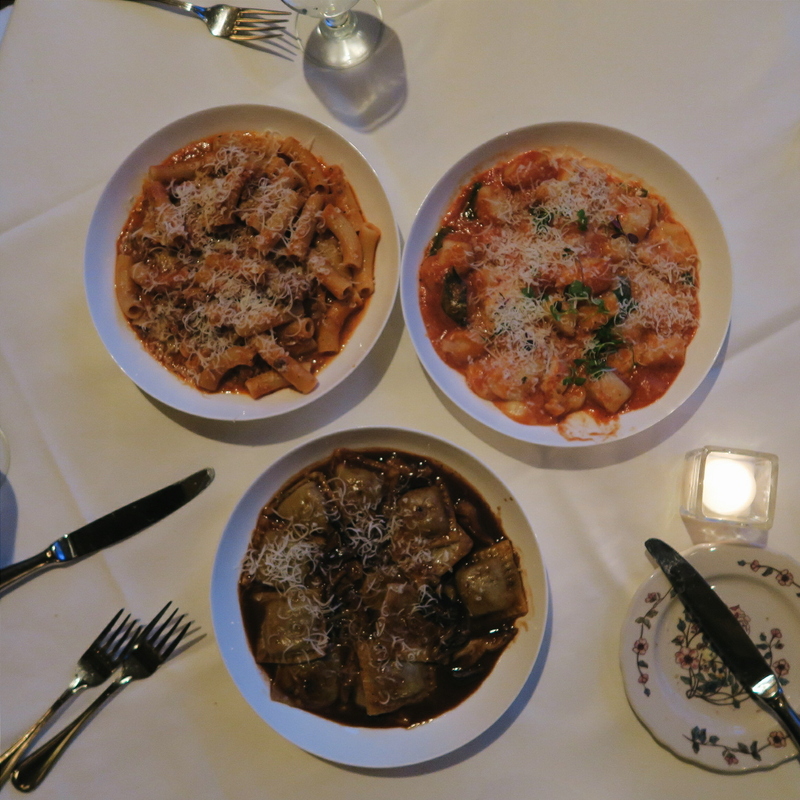 Readers, what are your favorite Italian Dishes? Would you want to try this place out?